The Get Shaped Meal Plan Program is not a diet. A diet forces you to restrict what you eat. Too often you are forced to give up foods you love and replace them with ones you hate. Eventually, you will grow tired of the diet and quit. Who wants to eat boring meals with no flavor? A lifestyle meal plan is the key to successful weight loss! Our Meal Plan Program is specifically designed to fit you! Using your desired goals, we calculate the daily macros (proteins, carbohydrates, and fats) and create 5-6 meals for every day of the week. 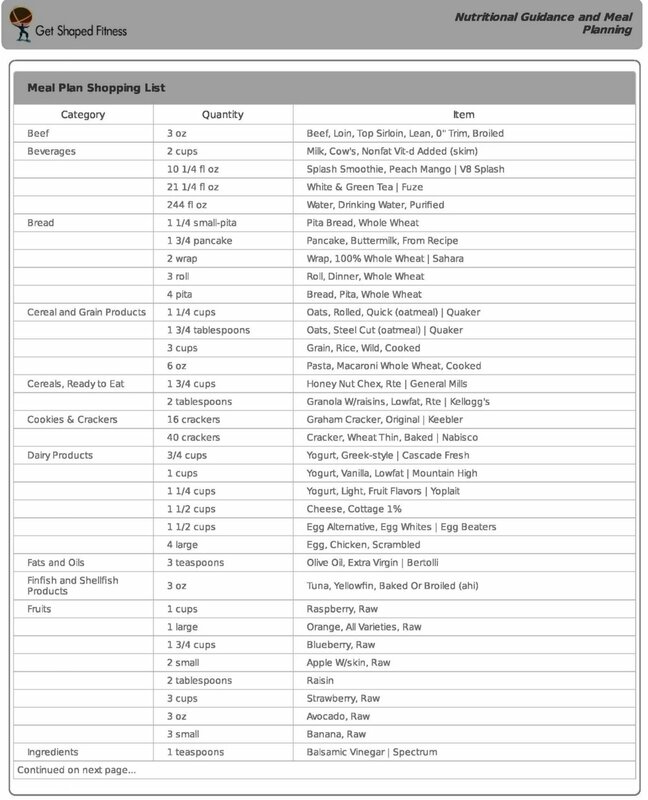 You get a 7-day meal plan with delicious recipes, that includes a complete shopping list. And, we use your feedback in order to customize the plan for the following week. This helps ensure that the meal plan we create for you is something you can stick to, providing a better path to success! 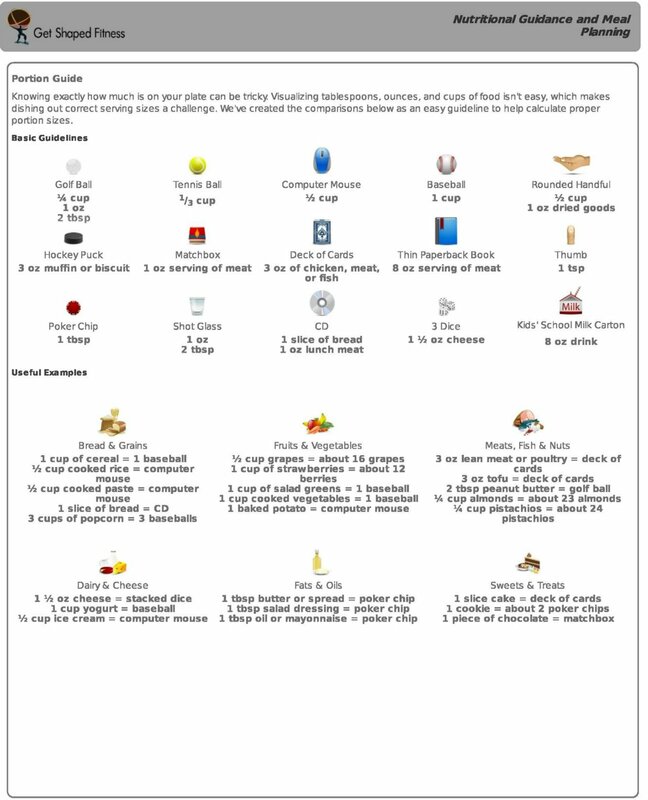 Check out a 3 day sample meal plan below to get an idea of what we will provide to you! 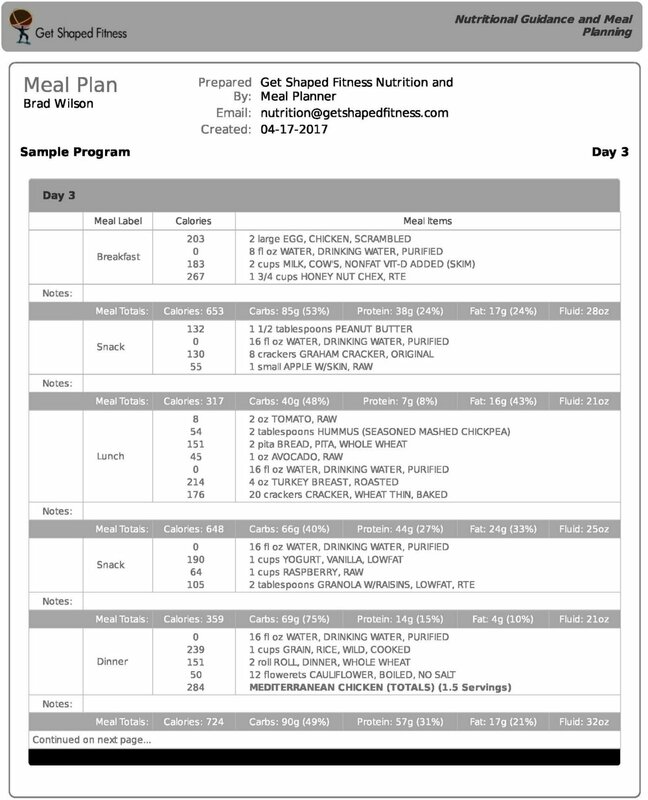 This is a 3 day sample meal plan for a 6'2 205lbs male. Remember each meal plan is customized to fit the client's body type and goals. Just click on the images below to see the next page. Do you have any specific nutritional goals? If yes, please list them. Do you have a rough idea of how many calories you currently take in daily? If so, how many? If not, would you guess it’s a small - medium - large amount? Do you tend to eat more carbs (example: bread, fruit juice, pasta) - than proteins (example: chicken, eggs, beans)? Are there any foods that you absolutely will not eat? If so - why? We would like to get a good sense of what you are currently eating so we can provide you with the best guidance. Please include beverages and how many ounces of water you drink each day.Use the space below to provide your 2-day food journal. Please use this space for any additional information you‘d like to share. We’ve asked a lot ! - so leaving this blank is good too. Thank you for filling out the Meal Plan Questionnaire. If you have already purchased the Get Shaped Meal Plan program. 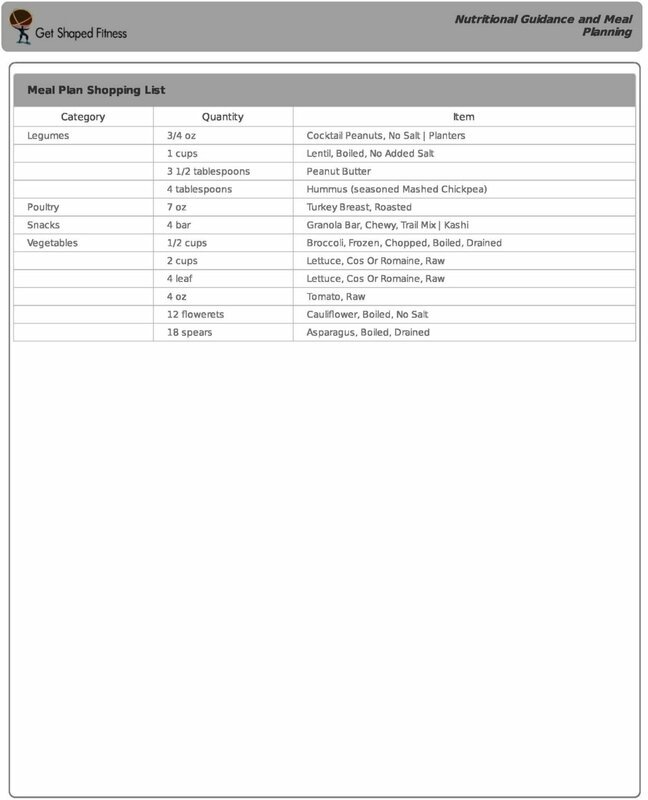 Please allow 2-3 business days for us to complete the plan. If you have any questions please contact us at nutrition@getshapedfitness.com.